Summer is almost over! I'm trying to hold on to it as long as possible. It's been so nice to not have a set schedule. We've been plenty busy, probably our busiest summer ever, but most of it was fun stuff. We've taken a few vacations, the girls attended dance camp and zoo camp. I was hoping to get more organizing and maybe a little potty training done, but we weren't home for a long enough period to get much accomplished. There will be time for that when school is back in session. 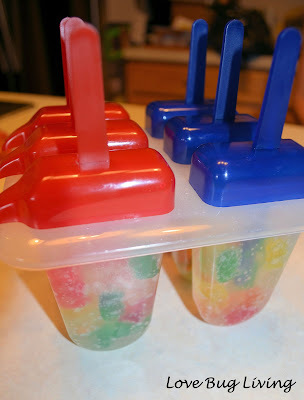 The girls start school next Monday, so for one last fun project, we decided to make Gummy Bear Popsicles! Simple and quick! The best kind of project to do with kids. I originally saw the idea on Pinterest, but I can't find the original source. 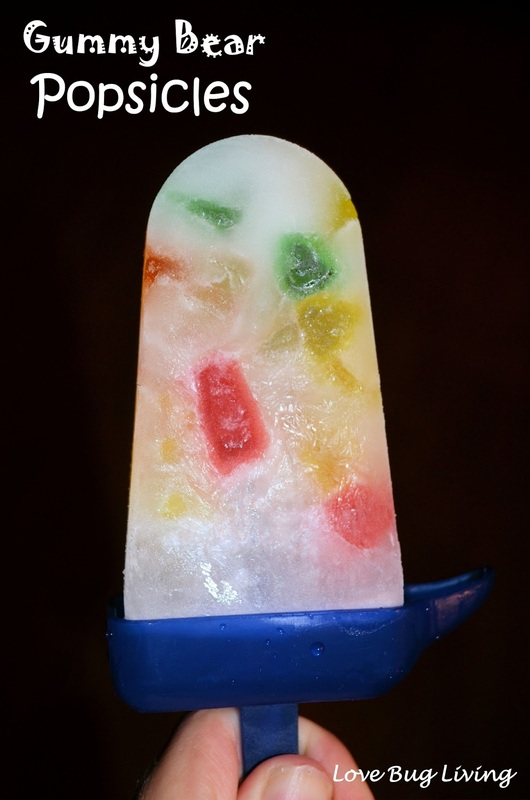 To make your gummy bear pops, begin by filling your popsicle mold with gummy bears. I filled mine about 2/3 full. Pour in your Sprite and add your sticks. Place in a flat shelf of your freezer until they are frozen. 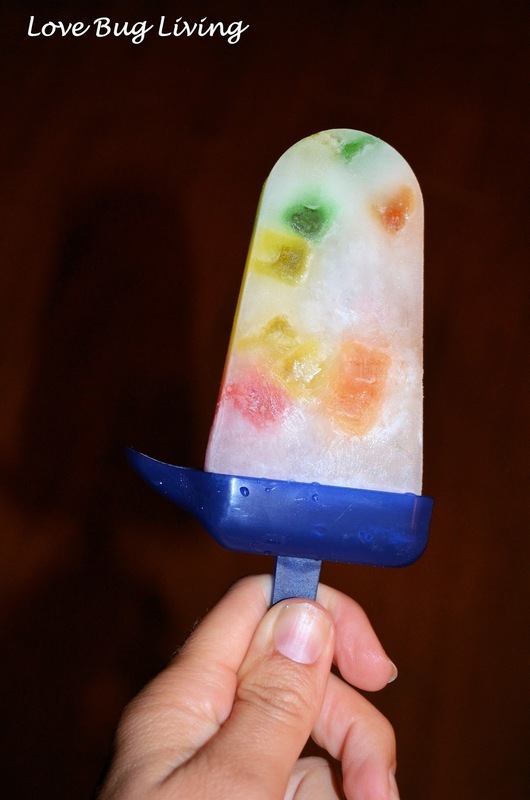 Remove your Gummy Bear Pops from the freezer and they are ready to enjoy. These were the perfect end of the summer treat for the girls. 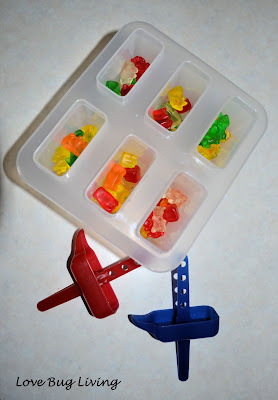 The Sprite really took on the flavor of the gummy bears and gave it a good fruity flavor. Perfect treat to celebrate the end of summer! This is awesome! 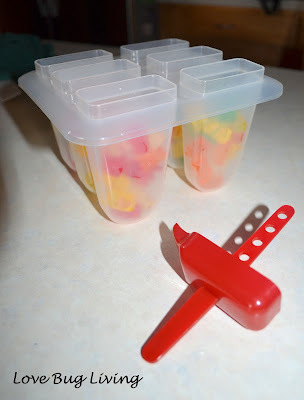 And looks so easy to make! Plus yummy. My kids would love them! Thanks for another popsicle idea!